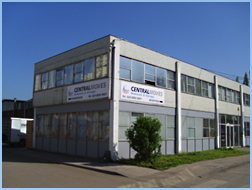 Central Moves Ltd, a World of Knowledge, Network Experience and Care. Here at Central Moves we specialise in the removals and moving of families and individuals household goods, personal effects and motor vehicles to Canada & worldwide. We are one of the UK’s top removal companies who combine specialisation with our total commitment to providing a professional and personalised service, which this is why thousands of families and individuals have entrusted Central Moves with their home removals, furniture removals and personal effects to Canada. Further testament to our success is the number of corporate clients who continue to choose Central Moves and indeed, refer us to their families and friends for Moving to Canada. All this stems from our friendly staff and simple belief that the easier we make the move to Canada for you, the more successful it will be. This is achieved through our dedication to ensuring the varying needs of our clients moving to Canada are not just met, but exceeded. Our team at Central Moves look forward to assisting you with your move to Canada in any way that we can. What you don’t need is the distraction of problems arising with the relocation of your personal possessions to your new home in Canada. It is important to undertake some planning and research to ensure you understand the requirements involved in moving your treasured possessions and an appreciation of the laws and regulations governing the importation of your personal and household effects into Canada. Delivery to all states in Canada – British Columbia, Alberta, Saskatchewan, Manitoba, Ontario, Quebec, Nunavut, Northwest Territories, Yukon, Prince Edward Island, New Brunswick, Nova Scotia, Newfoundland & Labrador. After your arrival in Canada, generally 7-10 days before your consignment is due to arrive, our Canadian partner will contact you in order to organise the clearance process and make delivery arrangements. Then, on delivery day itself, the Canadian crew will check the items against the original packing inventory that was completed at the loading address to ensure all items are received in good condition, and you will have to sign to confirm receipt. On most door to door moves, unpacking is included in the contract, and our Canadian movers will unwrap and unpack all professionally packed items and remove the used packing materials. That includes re-assembling any items such as beds or wardrobes that were dismantled in the UK.